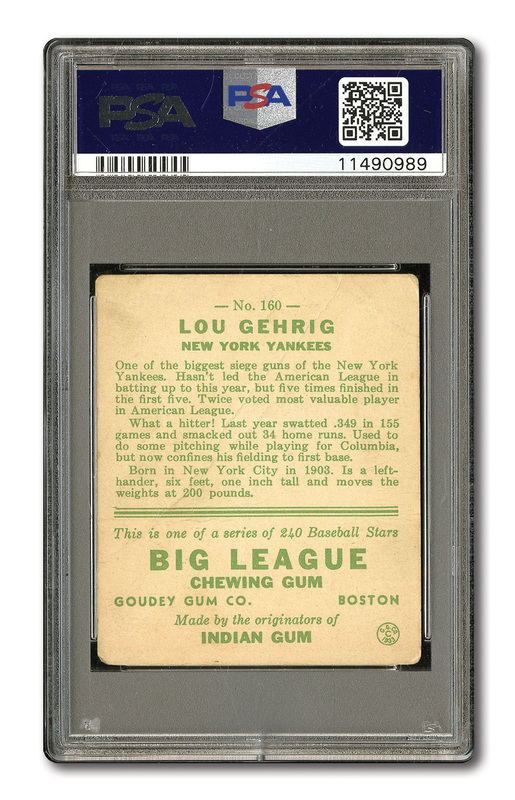 Offered here is a coveted PSA graded Lou Gehrig #160 card from the famed 1933 Goudey set. Regardless of its significant creasing and VG+ corners, the colors and eye appeal on the front remain relatively strong compared to other POOR 1 examples. 60/40 centering, it has some slight staining on the bottom right corner. The back is relatively clean. Overall eye appeal is great. 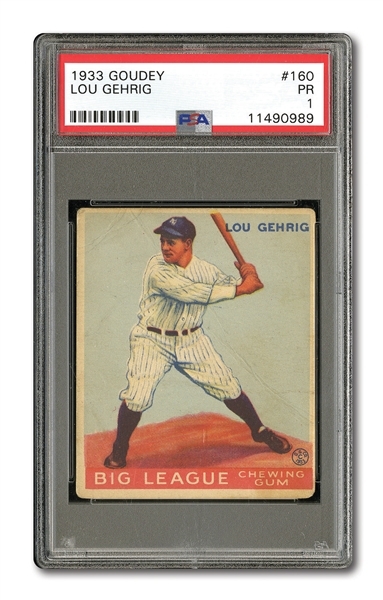 One of the nicest PR graded cards you will find!